I took a salad for lunch today and it was fabulous, cool, and crisp! *These strawberries were the best because they’re grown locally, and they are not bred for travel durability. They’re good, old-fashioned, a little small, a bit tart while sweet… They might bruise a little more than the sturdy, starchy, grocery store version… but, man oh man, they’re tasty! These little beauties will not be around for long. If you’re in the north, go get some this weekend or next! I believe I do. Thank you for correcting my spelling. Strawberry shortcake! MY FAVORITE! Thanks for the tasty salad recipe! 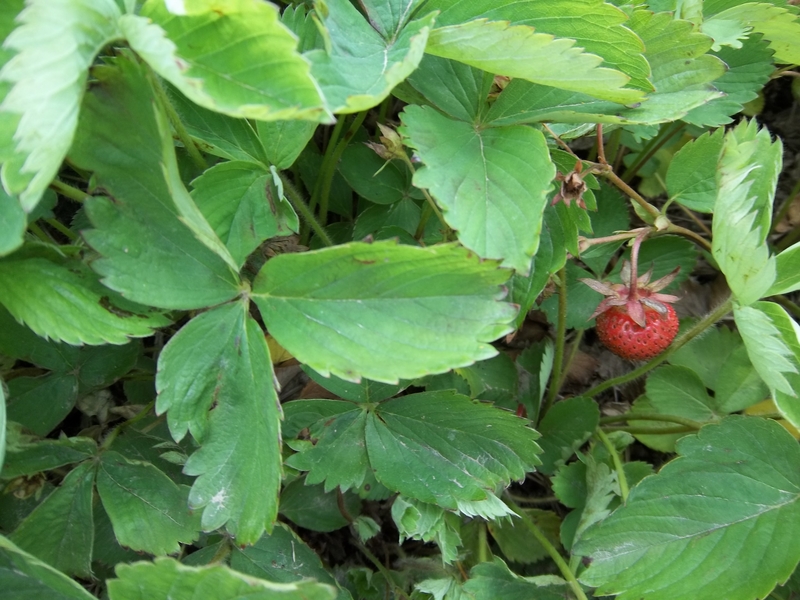 I am hoping we will have strawberry shortcake for our farm dinner dessert tonight… after all, it’s the height of the season! Sliced up a few Strawberrys to put on my cereal, wow the best ever. Yum! Good idea. I don’t know why I don’t think of strawberries and cereal… but I will now!